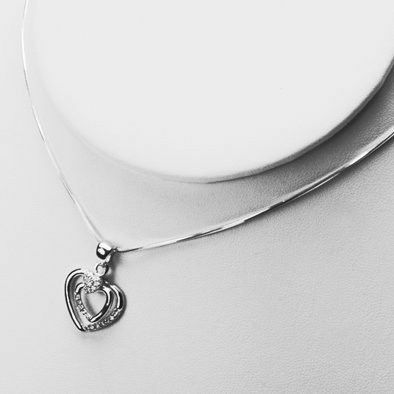 This charming sterling silver pendant measures 1" long by 9/16" wide. 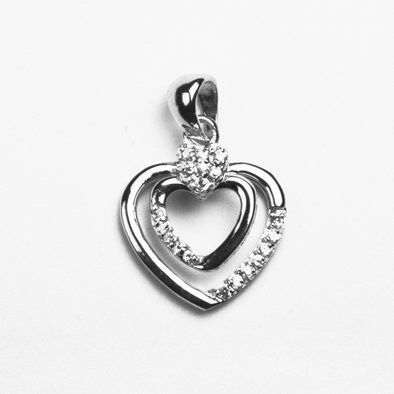 The smaller heart dangles within the larger one. 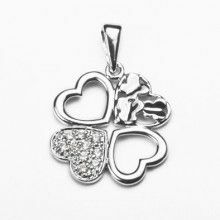 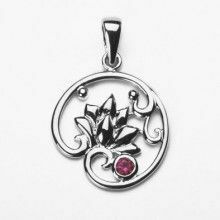 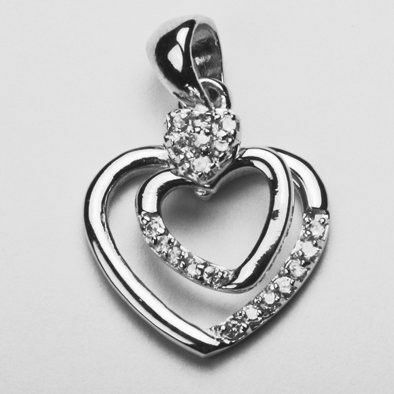 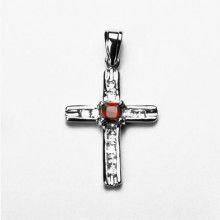 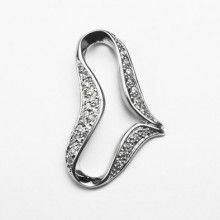 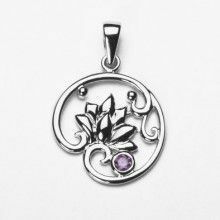 The silver is genuine .925 sterling silver, and this pendant also features a beautiful array of Austrian Crystals!